Gene Stratton-Porter was a literary genius. Her books are an emotional journey with so much heart they have me laughing and crying through each. The feelings and pictures that she invokes through her writing are enough to have me coming back to her works again, and again, and again. 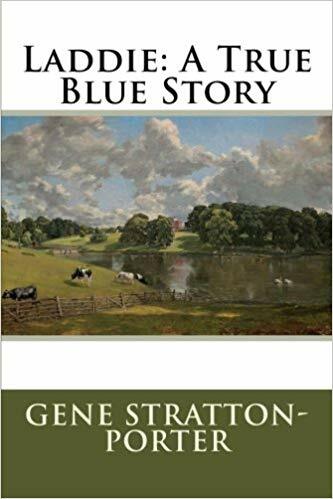 Gene Stratton-Porter, born Geneva Grace Stratton, was a Wabash County, Indiana, native who became a self-trained American author, nature photographer, and naturalist. 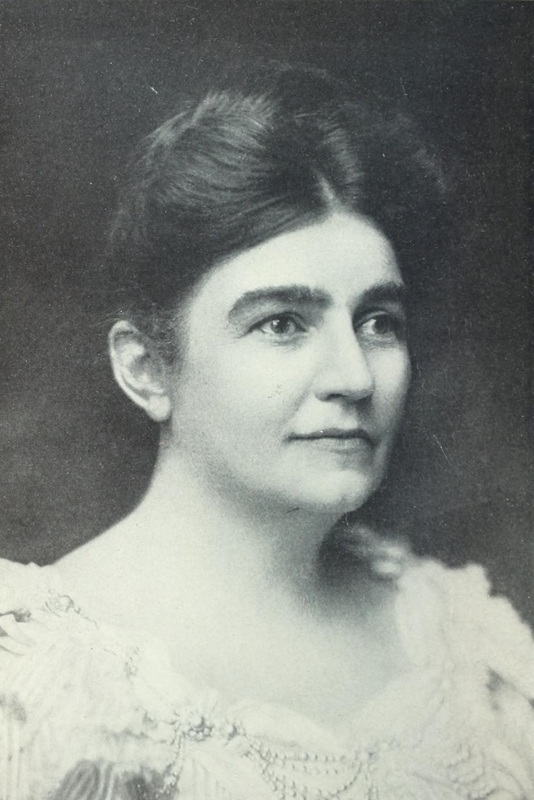 In 1917 Stratton-Porter used her position and influence as a popular, well-known author to urge legislative support for the conservation of Limberlost Swamp and other wetlands in the state of Indiana. She was also a silent film-era producer who founded her own production company, Gene Stratton Porter Productions, in 1924. Perhaps I can relate to Miss Porter because, like me, she had her hands in many creative pies, as it were. Her love for writing and nature combined in such a beautiful way in her books and opened a new world to her readers. The beauty of the Limberlost swamp was a pet subject for her to the point that it is almost as if the land was a character in its own right in her books, sharing page time with the characters who have tugged at my heartstrings. Her ability to describe the plants, trees, birds and other critters made my heart pitter patter, and my room became the Limberlost Swamp. It was almost as if I could hear the trees swaying, the different birds and their mating cries, the very swamp seemed to take on a persona and the movement of the wind through the different flora and fauna evoked such a feeling of presence. In short, Miss Porter had an amazing gift of placing the reader in the locale of her stories and not only making them feel the emotions of her characters but allowing them to experience the beauty around them. While Miss Porter excelled in her fiction writing, she also created quite a name for herself in the nonfiction department. As an outspoken naturalist and photographer, she married these two areas of interest to create books that were splendid for their time, full of images of rare wildlife in their natural habitat. 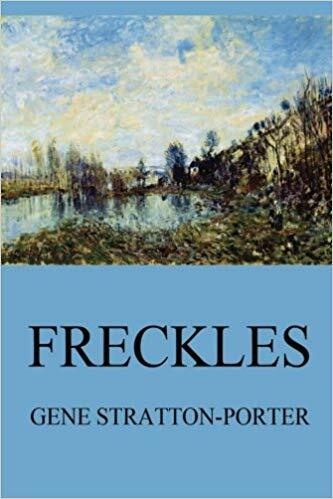 For those who have read Freckles, and A Girl of the Limberlost, they will get a small view of Miss Porter’s work through the character of the “Bird Woman” who was the fictional embodiment of herself. As a fiction writer and reader myself, I have greatly enjoyed that side of her writing career and I thought I would share my top five with you. I must add a caveat here though and say that nearly all of them are ones that I have read numerous times and have collected an entire set of the old publications of them for my own collection. This book is the heart-tugging story of orphan Terrence O’Moore who is known as Freckles. Through a childhood freak accident, he lost his hand and his parents. He has stepped out on his own the minute he reached his majority to make a way for himself in the world. He finds himself at Mclean’s lumber camp and is given the job of guarding the Limberlost Forest against lumber thieves. The value that the hundred-year-old trees represent makes others greedy and he finds himself falling in love with the forest that he lives in during work hours. This story of self-discovery, love, nature, and family will leave you in happy tears. I know it left me in a puddle. This sequel to Freckles is beautiful, and while you're able to be read it as a stand-alone novel, there are characters that intersect, and if you loved Freckles, you will be immensely happy to meet their family in the second half of this story. 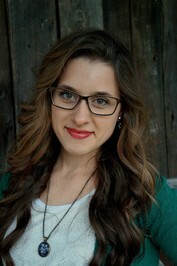 Elnora Comstock is a young woman who lives her life under the matriarchal control of her mother. Some unknown sorrow and hurt cause Mrs. Comstock to be a beacon of abuse and control over her daughter who has decided to step out on her own and go to school for the first time. She finds making her own way and friends a hard task, but one she is entirely equal to as a plucky young woman. When her father's past transgressions rise to the surface, her mother must choose between the bitterness that she has cultivated and her own daughter. This story of family, love and a search for confidence is one that not only a good story, but one that has an impressive warning as well. A Girl Of The Limberlost on Amazon. Join newsboy Mickey as he makes his way in the big city with nothing but the sweat of his brow and a few newspapers. 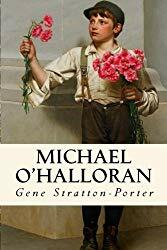 Miss Porter shows herself a master at writing children in this epic tale of a young boy who takes in an abandoned, crippled girl and shows her the meaning of true family. The myriad of other characters who are brought together through tragedy and their common acquaintance of this remarkable boy will be a story that you return to again and again as you learn the meaning of forgiveness and overcoming adverse circumstances. Another one of Miss Porter's lovely portrayals of children, you will find great pleasure in being immersed in the story of a farming family through the eyes of the youngest child, Little Sister. Her views on marriage, her brother’s romance, and the numerous antics she finds herself getting into will entertain you and leave you with a feeling of contentedness, and perhaps a greater appreciation for your own family. With enough suspense to keep you turning pages, humor that might just make you laugh out loud, (I know it did me) and the right amount of sadness, you will love this story! This book would make a great read-aloud for a family. 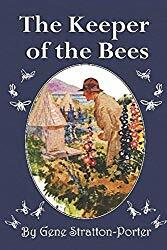 Intermixed with romance, a fight for life and a recovery, you will learn more about bees than you ever thought possible, all while being entertained with a fine piece of fiction. Recovering soldier James Lewis MacFarlane has been told that he has months to live. Instead of slowly dying in a home for injured soldiers, MacFarlane will escape from the facility and run away to live his last days having had a glimpse of the ocean. A house where he stops to ask for help ends up throwing him into helping the owner who has a heart attack in front of him. As he follows the man to the ambulance, he finds himself promising to take care of the house and grounds until the owner should return from the hospital. What ensues is a delightful tale with the perfect balance of intrigue, romance, adventure, and friendship. The Keeper of The Bees on Amazon. I won’t go into detail of any of her other books at present, but below is a list of the rest of my favorite titles.